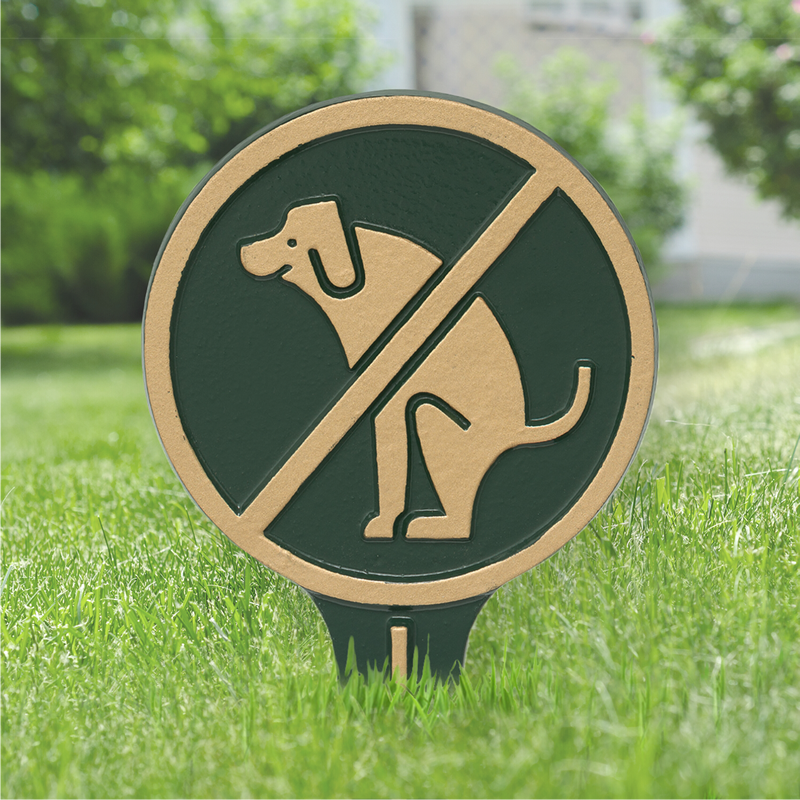 Durable, reusable, and effective these funny lawn stake signs will persuade dog owners to respect your boundaries, and politely clean up their pet's mess. 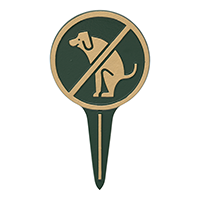 Reminds your neighbors to be responsible and respectful by curbing their dog. Retains curb appeal while delivering your message in a neighborly way. Hand-cast from aluminum to prevent rust and corrosion. Alumi-Shield™ all-weather finish protects against the harshest environmental conditions—sealing it away from the elements. No tools needed or hardware to assemble, the single unit marker can simply be inserted into the lawn right out of the package. Messages are engraved into the aluminum—for a raised look that enhances the visibility. Select from four color combinations that compliment most home exteriors. Made from durable aluminum, these lawn stakes are designed to be usable in any outdoor space. Cast from 375 mil (.375") thick recycled aluminum that is rustproof. Alumi-Shield™ all-weather coating protects against the harshest weather and environmental elements. Extending the product life, while maintaining the look and function. 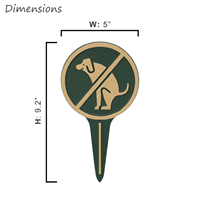 Single unit marker makes for easy installation with lawn piercing stake. Signs are single-sided, with a smooth, blank backing. For application where double-sided signs are needed you can install 2 signs back to back. Available in the following color combinations: Black/Gold, Black/White, Green/Gold, and White/Black. Excellent quality-very sophisticated and upscale-everyone comments how much they love them!